Conditional Formatting is an important command which allows you to apply different kind of formats on selected cell or range of cells as per requirement. 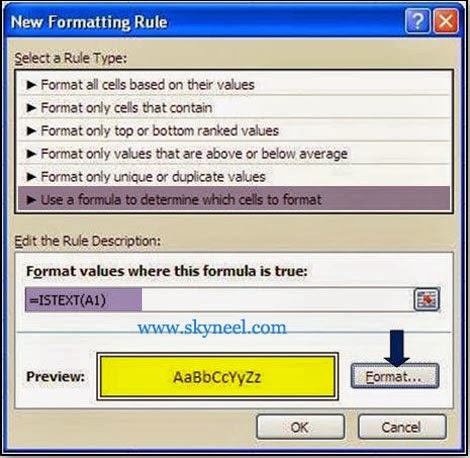 In this post we discuss about how to apply formatting with the help of conditional formatting facility only on text entries on selected cell or range of cells in excel. 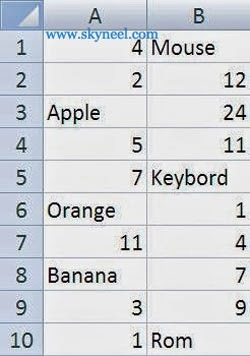 It is a very useful technique used to highlight text from selected ranges of cells using condition formatting facility in excel. 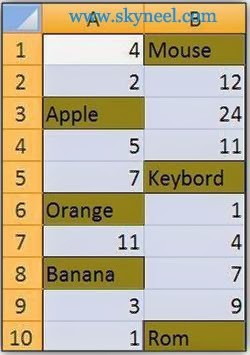 Conditional Formatting feature in excel is used to allow or apply different kind of formatting on selected range of cells in active sheet like set background colors, borders, shading, apply styles on font that match certain given conditions. For example, if you have a large database and you want to highlight or apply formatting only on text entries in that case you can use conditional formatting facility in MS Excel. 2. Click Home Tab -> Conditional Formatting -> New Rule -> In New Formatting Rule box, Select Use a formula to determine which cells to format in select a Rule Type category. 3. Now type following formula =ISTEXT(A1) in Format values where this formula is true box. 5. 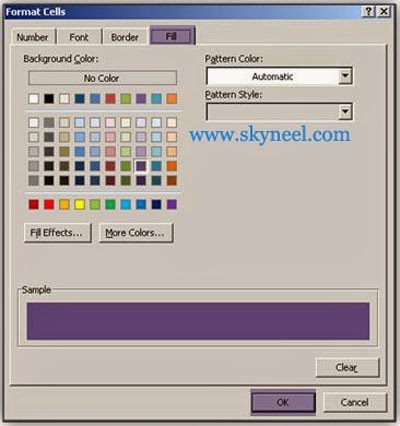 Click Format button -> Fill -> Select any color which you want to fill & set any type of border then click Ok -> Ok.